based on 66 817 votes. 53 user reviews. Russian radio ( Moldova) - part of the largest radio network in the world, "Russkoe Radio", which broadcasts in the Moldovan capital - the city of Chisinau. Listen to Russian radio you can, you are listening on the frequency 103,7 FM. Also call letters most popular station in the CIS can catch in other Moldovan cities: Vulkaneshty - 102,7 FM, Balti - 106,2 FM, Căuşeni - 103,0 FM, Edintsy - 105,4 FM. It is notable that the Chisinau Russian radio got in just two years after its first airing - back in 1997. In terms of filling the ether Moldovan station is not much different from his Russian counterpart, since it is almost completely relays the content. Except there are only local and regional news outlets and several programs designed for audiences Moldavanskoye listeners. In all other respects, including the music, the differences between parts of a single radio network no. 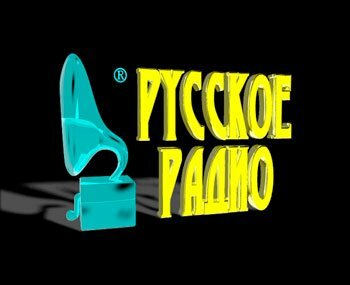 Here you can also enjoy your favorite Russian-language hits of all time and the most rating programs that still listen to radio amateurs in all CIS countries. Listen to Russian radio online, thanks to one of the most popular and largest radio portals in post-Soviet countries bestradio.fm, ie our resource, you can listen from anywhere in the transmission of our beautiful blue planet. Enjoyable for you and will also be the fact that in order to enjoy the ether favorite radio station, you do not even need to check in, not to mention the pay and download any software. Just listen to music for free and enjoy!